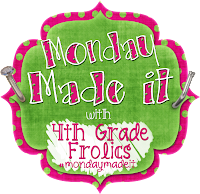 The first idea for my Monday Made It, was from Mr. Smith at teachertipster.com. His ideas and site are so valuable. I made the Power Towers using our sight words. 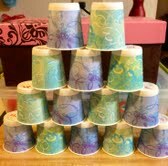 I wrote all of the words on the bottom of the dixie cups, and then decorated an empty Pringles can. 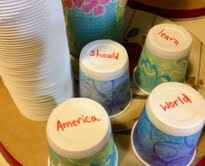 My new second graders will love reading the word and then stacking it on top to build a high tower. The next ideas I made were just from using some games, but with a different twist. 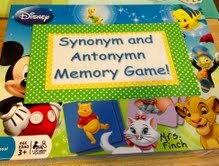 I bought a Connect 4 game, and a Memory game from Target, and know I have a Sight Word game and also a Synonym/Antonym game. 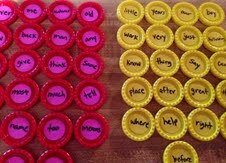 I wrote all of the sight words on colored, circle stickers and stuck them to both sides of the discs. 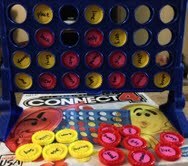 When kids play the game, they need to read the sight word on their disc before placing it in the grid. They need to get four in a row to win. 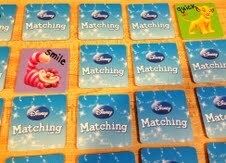 The Memory game I bought had two complete sets. I wrote Synonym pairs on one game, and Antonym pairs on the other. 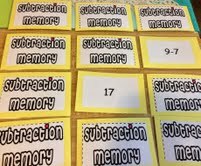 Then I cut out the Addition and Subtraction Memory game I printed from a great site called The Teaching Oasis. Jessica's site is amazing! 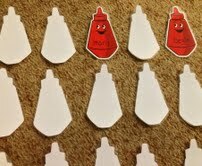 I printed them up, put them on card stock, and laminated them. 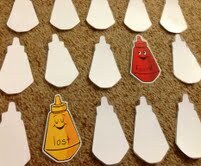 The final thing I made was a Memory game, or matching game about Antonyms. 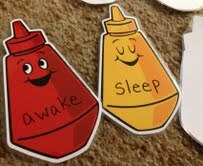 I found these cute Ketchup and Mustard cut outs from the Dollar Tree. 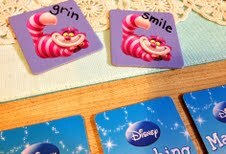 I laminated them and wrote Antonyms on them. 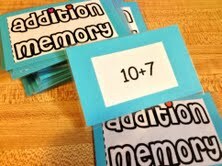 My 2nd graders can play a memory game, go fish, or sort and match them up on their own. I have been enjoying summer break so much! I LOVE seeing all of the fabulous ideas on teacher blogs and Pinterest. Enjoy your summer! LOVE the connect four game! great idea! What i do not realize is in reality how you're now not really much more well-appreciated than you may be now. You're so intelligent. You already know therefore significantly in terms of this subject, made me individually believe it from a lot of various angles. Its like women and men don't seem to be fascinated until it¡¦s something to do with Girl gaga! Your personal stuffs outstanding. All the time maintain it up!